This year’s Guide has even more photos than past publications. The cover photo was taken by local resident Pamela Davis, winner of the Visitor Bureau’s annual ‘cover photo contest’. The majority of the photos were taken by Holland area photographers. With increased competition for visitors along the lakeshore, the Holland Area Visitors Bureau is dedicated to making this Guide the best possible source of information for visitors, meeting attendees, Hope College parents – virtually anyone who wants to experience the greater Holland area. The 2018 Guide is the main fulfillment piece for the Visitors Bureau, which handles close to 30,000 individual requests for information directly through their office, and consistently ranks near the top in lead requests from Pure Michigan. Additionally, close to 30,000 Guides are distributed to the Michigan Welcome Centers. The Guide is also distributed to Group Tour Planners, Meeting Planners, Wedding and Event Planners, Sports Planners and included in Relocation Packets; it is available at area hotels and bed & breakfasts, throughout Downtown Holland, at area attractions, and at select Chamber of Commerce and AAA offices in Michigan and throughout the Midwest. It is also the main fulfillment piece for all advertising placed by the Visitors Bureau, and is distributed throughout the Midwest by 3 brochure distribution services. Given the competition for vacation, sporting, and meeting destinations, the Holland Visitors Bureau’s goal is to make this the most inclusive, eye-catching visitor guide in Michigan! 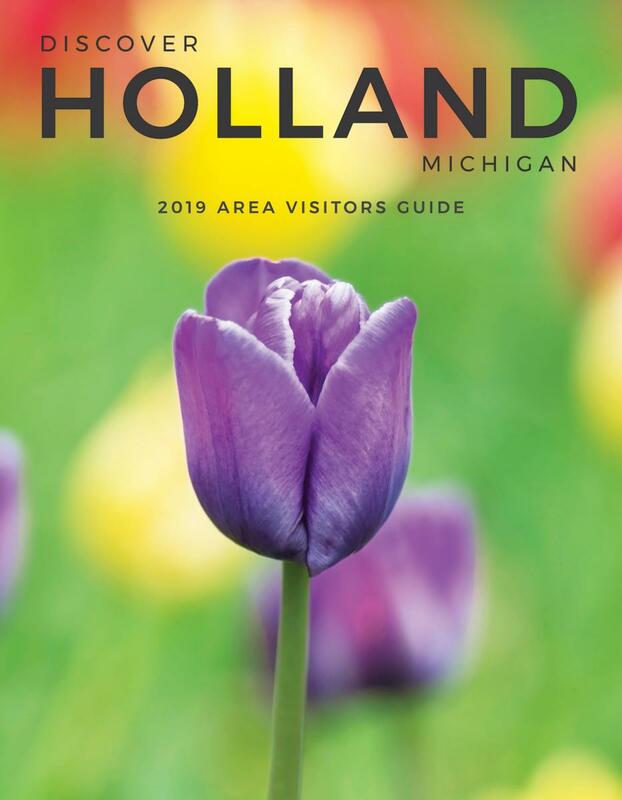 For your copy of the 2019 Holland Area Visitors Guide, stop by the Visitors Bureau office at 78 East 8th Street in Downtown Holland, or give us a call at 616-394-0000 and we'll be happy to mail you a copy!